We thought this was some great info from the folks at Skratch Labs. As temps continue to rise this summer, hydration and refueling are critical. This is a good guide but everyone is unique. You have to find what works with your body and that is what training is for! Try some different things and stick with what works. 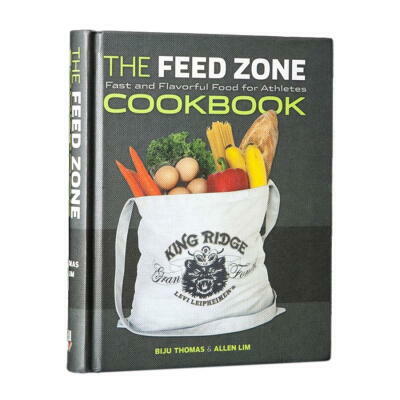 You can find Skratch Lab products at any Fleet Feet Sports Atlanta store along with the Feedzone Cookbook mentioned below. We at Fleet Feet are here to help you find your hydration plan. Stop in and we'll show you how to get started! 1. Eat & Drink Early & Consistently—One of the biggest mistakes runners make is forgetting to eat and drink early and consistently throughout the day. While this is plain common sense, it‘s often disregarded—a mistake that can spell disaster no matter how well trained or prepared you are. As a general rule, you need to replace at least half the calories you burn each hour, and you need to begin replacing those calories in the first hour if you’re going to be out for more than three hours. Regarding hydration, on a hot day your fluid needs may be as high as 1 to 2 liters an hour. The best way to get an appreciation of how much fluid you might need is to weigh yourself before and after a workout. The weight you lose is primarily water weight, where a 1-pound loss is equal to about 16 ounces of fluid. As a general rule, try not to lose more than 3 percent of your body weight over the course of a long run. 2. Try Eating Real Food—While there are plenty of pre-packaged sports bars and gels touting their ability to improve one’s performance, it’s important to realize that real food can work just as well if not better than expensive, engineered nutrition. A regular sandwich, a boiled potato with salt, a banana and a ball of sushi rice mixed with chocolate or some scrambled eggs can all give you the calories you need without upsetting your stomach the way a lot of sugary gels or sports bars can. In fact, while coaching teams at the Tour de France, the riders I worked with used real food as their primary solid fuel source, because it just worked better. Most of the recipes for these foods can be found in “The Feed Zone Cookbook” that I wrote with Chef Biju Thomas to promote healthful, real-food eating. 3. Don’t Just Drink Water—When we sweat we lose both water and valuable electrolytes. Those electrolytes include sodium, chloride, potassium, magnesium, and calcium. Of these electrolytes, the vast majority (about 90%) of that loss is sodium chloride. But it’s sodium that plays a critical role in almost every bodily function. Thus, when sodium is lost through sweat, drinking only water can further dilute the concentration of sodium in the blood, leading to a condition called hyponatreamia, which can lead to a host of problems ranging from a drop in performance to seizures and even death. The amount of sodium that we lose in sweat is highly, variable ranging anywhere from 250 to 1100 mg per half liter (16.9 ounces). Because of this large range, it’s always better to err on the side of more salt than less salt, especially if you tend to see more white streaks of salt caked on your workout clothing compared to others or if you crave salt after a sweat filled workout. Unfortunately, most sports drinks contain too much sugar, not enough sodium, and an excess of artificial ingredients, which caused many I worked with to become sick during long workouts. For that reason, we developed an all-natural sports drink using less sugar, more sodium and flavored only with real fruit. Outside of using a sports drink with more sodium, also consider eating salty or savory foods on your ride rather than just sweet foods. 4. Learn What you Need in Training—Race day is not the day that you want to be experimenting with yourself. So try different hydration and feeding strategies during training well before the big day. As an example, simply weighing yourself on a long training ride before your big event can give you valuable information to optimize your hydration for that event. Likewise, taking the time to prepare your own foods or trying different products beforehand and then writing out a specific game plan for your drinking and feeding needs can go a long way to making sure you don’t make any mistakes on race day. 5. Come in Well-Fed and Well-Rested—While proper training is obviously important, making sure you are well rested coming into an event is sometimes even more critical. You can’t cram training, so as you approach the big day, make sure you are getting plenty of sleep and aren’t killing yourself in training the week leading into your event. Just sleeping an extra hour each night the week before your event can significantly improve your performance. Finally, adding extra carbohydrate to your diet, and making sure you get plenty of calories the week before your event, will assure that your legs are fueled and ready to go.